Tough, durable "Gator Weave" furniture covers are made from our exclusively designed polyester fabric that's both durable and breathable, water resistant and will not crack or peel like vinyl. "Gator Weave" covers are also soft so they won't scratch your furniture. All models, except the umbrella covers, feature a spring-loaded cinch that locks to keep the covers snug on your furniture all winter long. Our covers come in a neutral champagne color to attractively match your patio area. Each cover comes with its own storage pouch for easy spring storage. 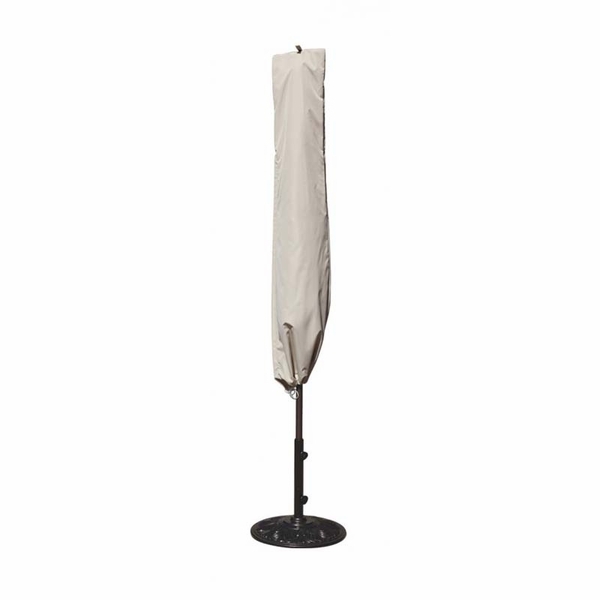 It is machine washable and fits 10' - 13' Cantilever Style Umbrellas up to 118" high.